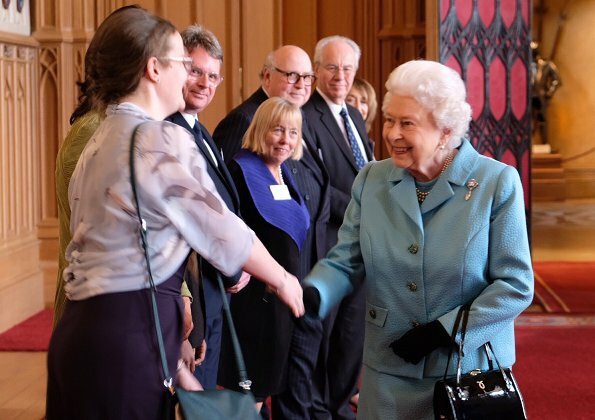 On April 2, 2019, Queen Elizabeth II hosted a reception at Windsor Castle in celebration of the centenary of the National Council for Voluntary Organisations (NCVO). 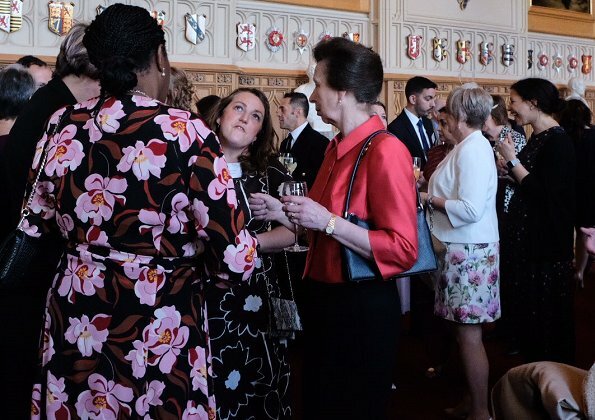 The Princess Royal, The Duke and Duchess of Gloucester also attended the reception at the Castle. NCVO represents a diverse community of over 14,000 member organisations of all sizes – a third of the voluntary sector workforce in England. 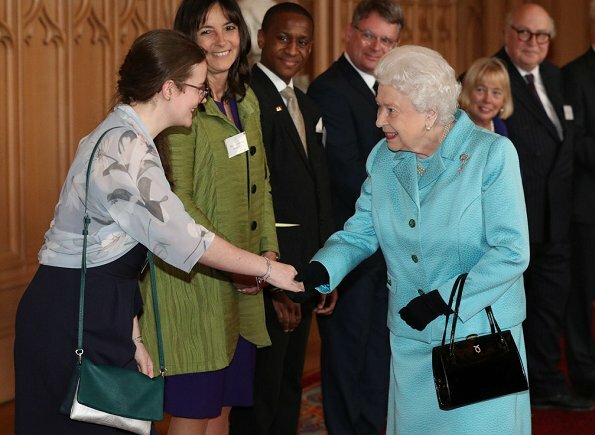 The Queen met volunteers including Louise Munro who is Helpforce’s Young Volunteer of the Year. 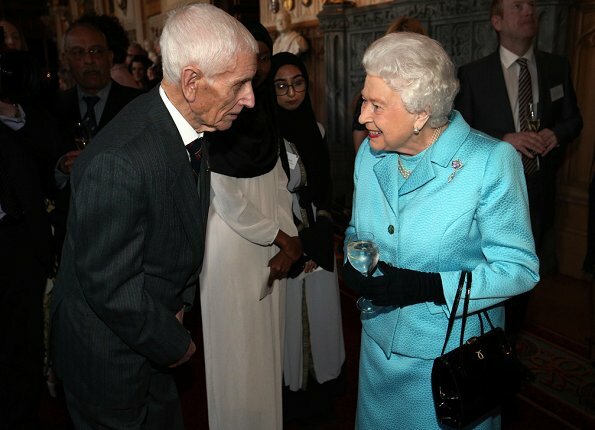 Was lucky enough to see the exhibition of Princess Eugenie's wedding dress in Windsor castle and though Her Majesty was at home, we never met 🙁 I like Princess Anne's jacket here and it's always good to see the Duchess of Gloucester at royal events. Amazing. She is just lovely. 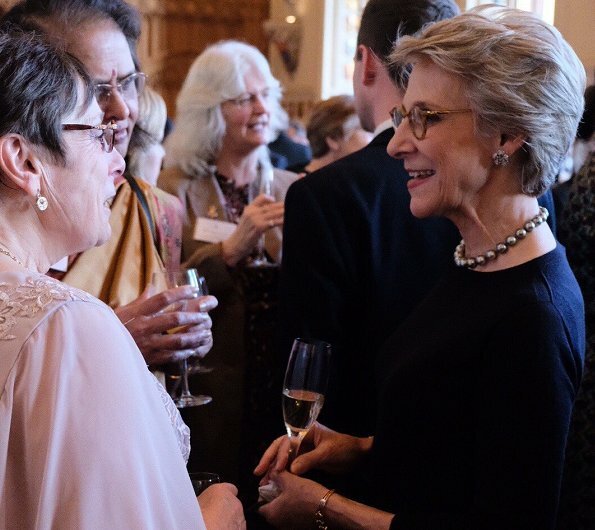 The duchess of Gloucester is a beautiful woman with amazing jewellery. 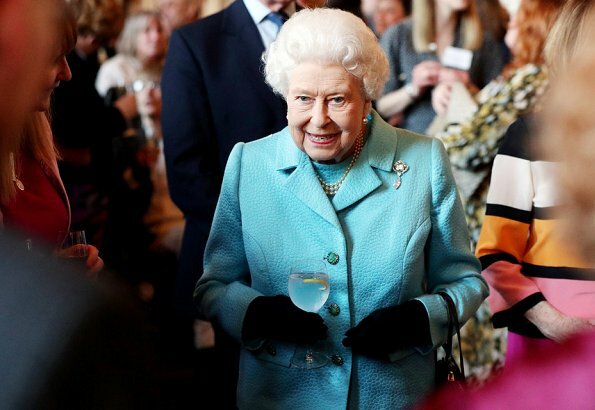 The queen is rocking her brooch and this blue colour. Dit is eens wat anders dan al die broeken die hier te pas en te onpas verschijnen! 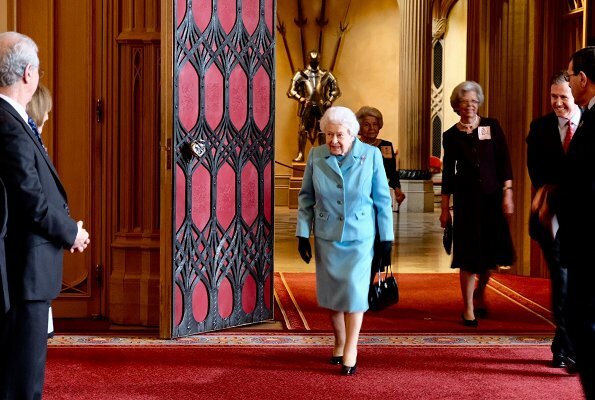 Is it allowed to criticize the queen’s fashion? The color of the suit is, of course lovely and becoming. However, the fabric seems very heavy on her small frame and the bulkiness of the collar and shoulders accentuates the thickness of the fabric. 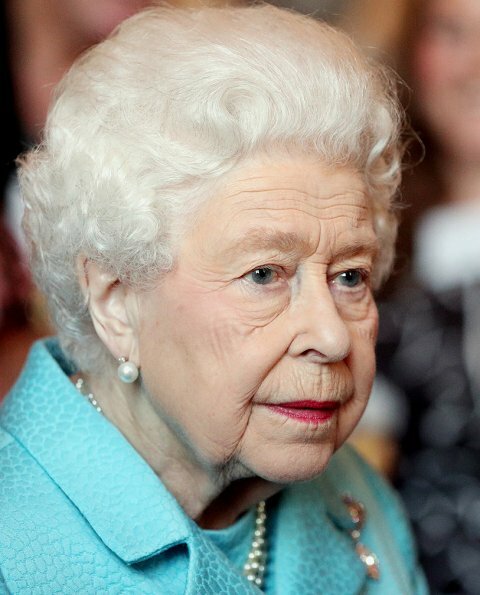 Her head is bowed as is natural for a person of her age and the collar draws attention to that rather than lying flat as a softer fabric would. Might I also add that lighter colored gloves might look better than the black ones? I completely agree, Hero. 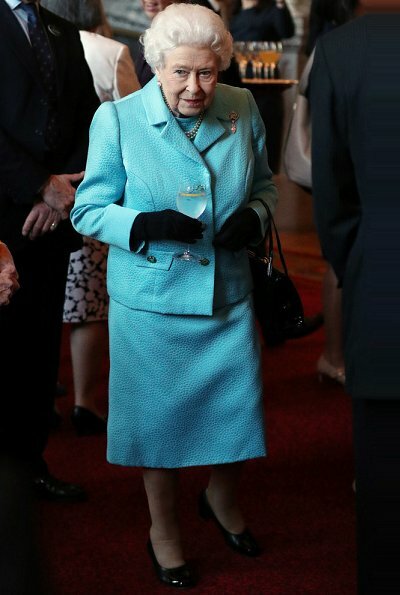 The lovely shade of blue is the only element here that flatters Her Majesty. Yes, I don't see why she should be saved from some "less positive" comments. Very often I have a problem with the colours she chooses, this one is ok for me. 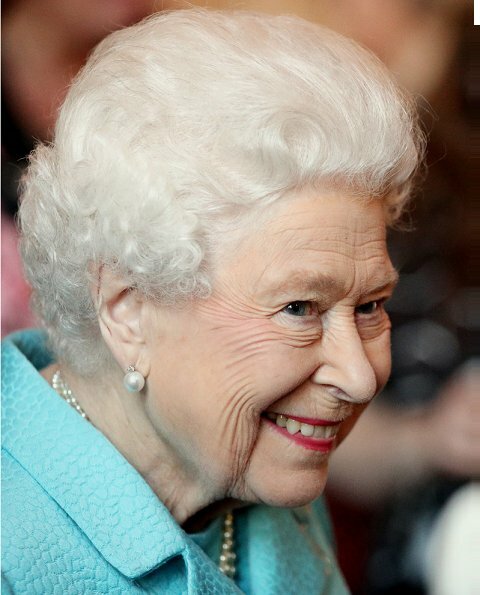 Her lipstick is lovely, gorgeous colour! Nice turnout from members of the RF. The Q is always lovely.